Perl Trailer A2, Austrian Post and Telegraph Administration (A-PT). 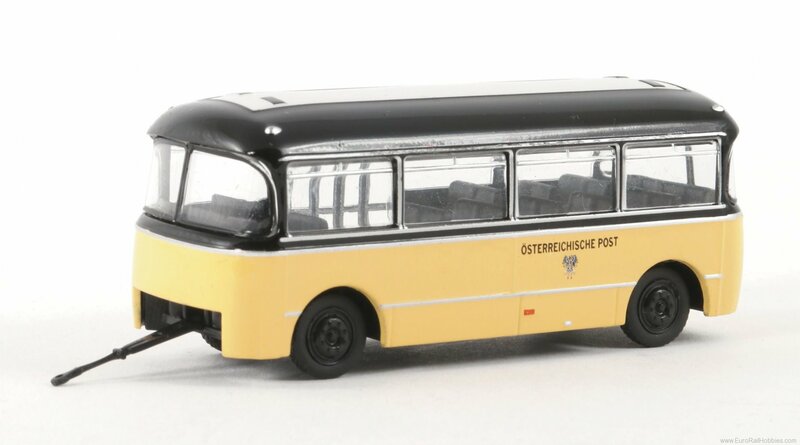 In addition to the Perl omnibuses, the company Perl also developed special passenger trailers for the Austrian Post. The trailer offered 30 seats and space for 11 standing passengers. The Austrian Post bought a total of 45 trailers.